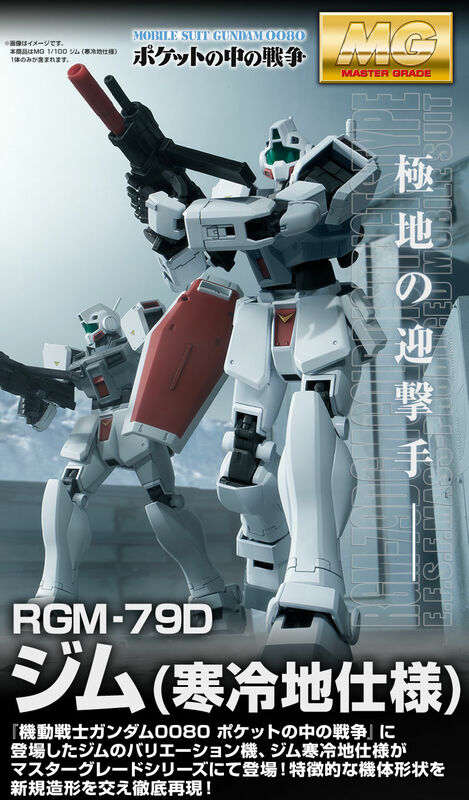 A variation of the gym that appeared "War in the Mobile Suit Gundam 0080 Pocket", a gym (cold region specification) appeared in the master grade series! Thorough reproduction of the characteristic body shape with new modeling! 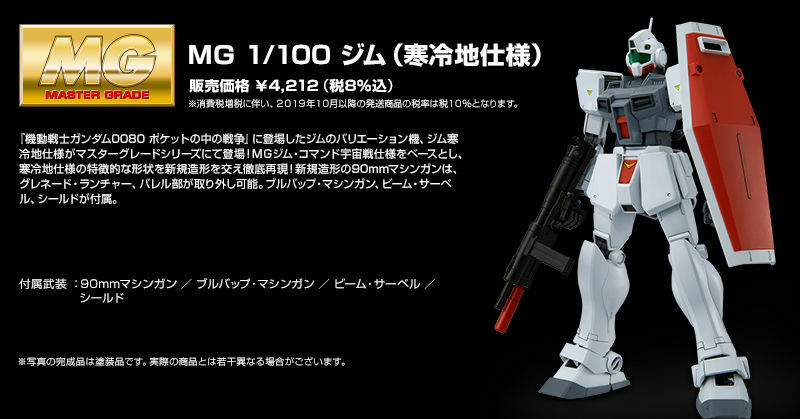 ● Reproduce the shape of the machine with a new model based on MG! 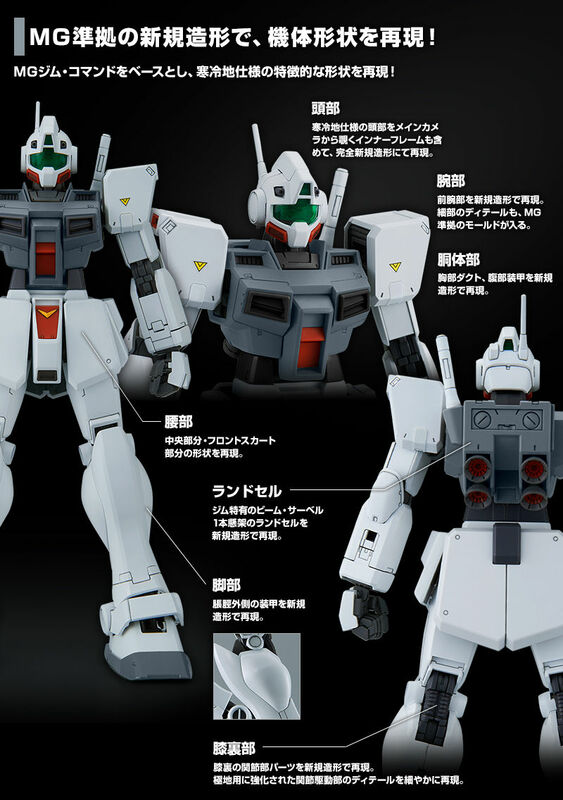 Based on MG Jim Command, reproduce the characteristic shape of cold region specifications! It reproduces with a completely new modeling including the internal frame except the head of cold region specification from the main camera. Reproduce the chest duct, abdominal armor with new modeling. A distinctive feature of the flat shape, the gym-specific front, reproduce the side armor in a new form. 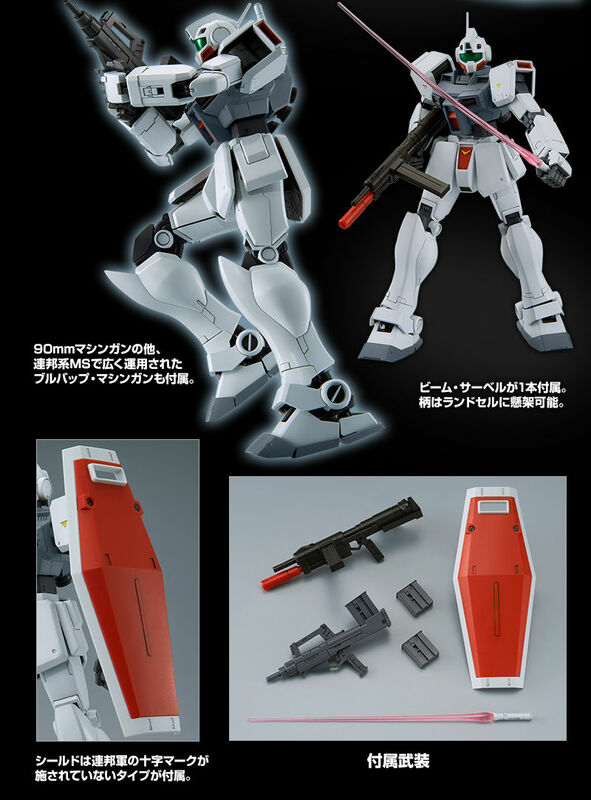 Rear armor is also reproduced with some new parts. Reproduce the design of a single-cell, saber-equipped school bag. Reproduce the armor on the outside of the calf with a new model. We reproduce joint part behind the knee with new parts. Detailed reproduction of the details of the joint drive reinforced for polar regions. ● Reproduce the 90mm machine gun with new modeling! 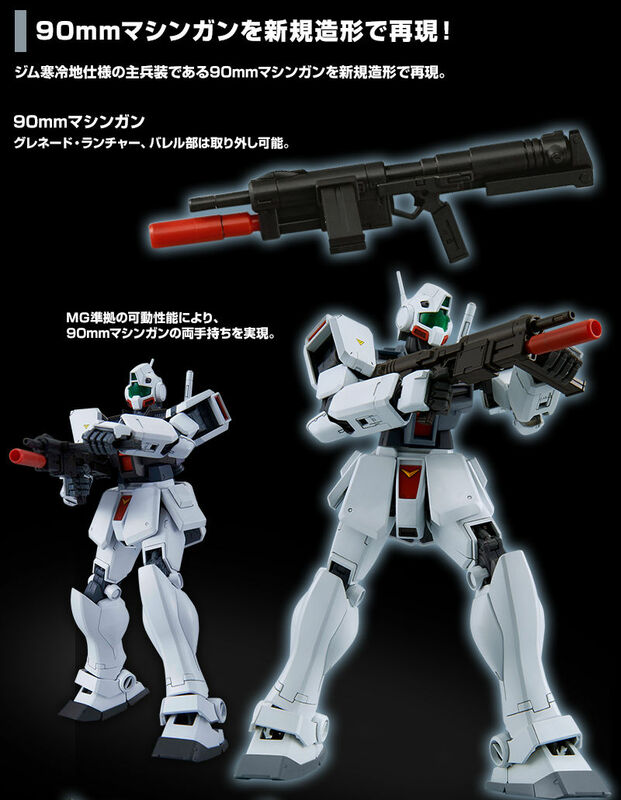 Reproduces the 90 mm machine gun, which is the main armament of the gym (cold region specification), with a new model. The barrel of the grenade launcher is removable. Armed with 90mm machine guns, bullbop machine guns, beam sabers and shields. The shield is a type that does not have the cross mark of the federal army.